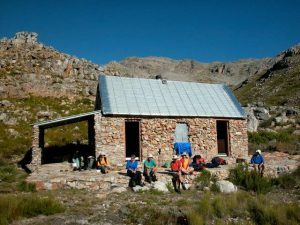 This hut, at Disa Dell on the north-eastern flanks of Brandwacht Peak overlooking Meiring’s plateau, is often the first stop on an exploration of the Hex River Mountains. It’s an ideal base from which to explore Brandwacht Peak, Meiring’s Plateau, Audensberg, Perry Refuge, Chavonnesberg and Fonteintjiesberg. 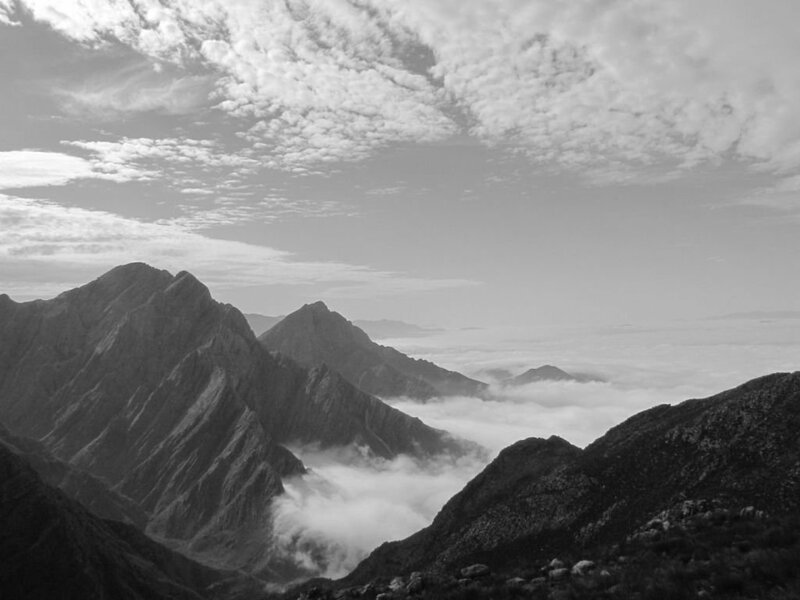 The hut also forms part of the ‘classic’ Hex Traverse to Ceres, the Hex River Valley or Waaihoek. 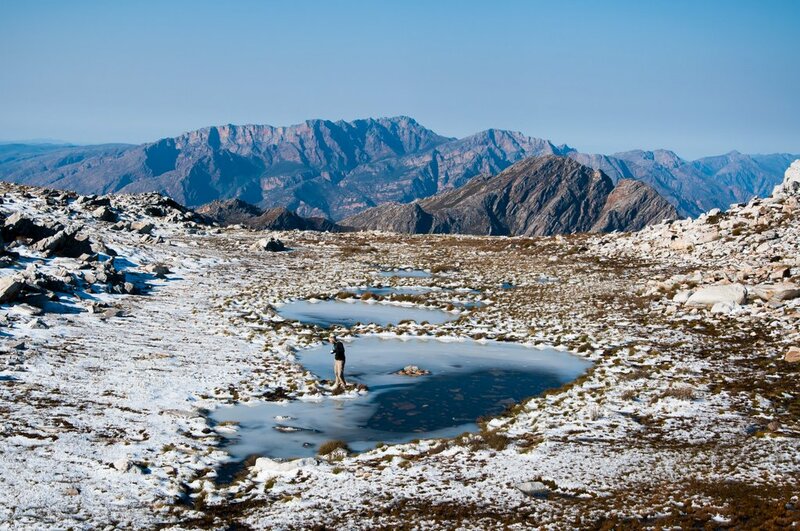 The hut is at a height of around 1 395m, with the path leading to it starting at 445m. A fire in the mountains in 2003 led to the exposure of the original 1930s Loubscher’s Highway path. It had been closed in 1969 after the Tulbagh earthquake created dangerous conditions in Tierkloof, but these sections have been rebuilt and the original route is now used. 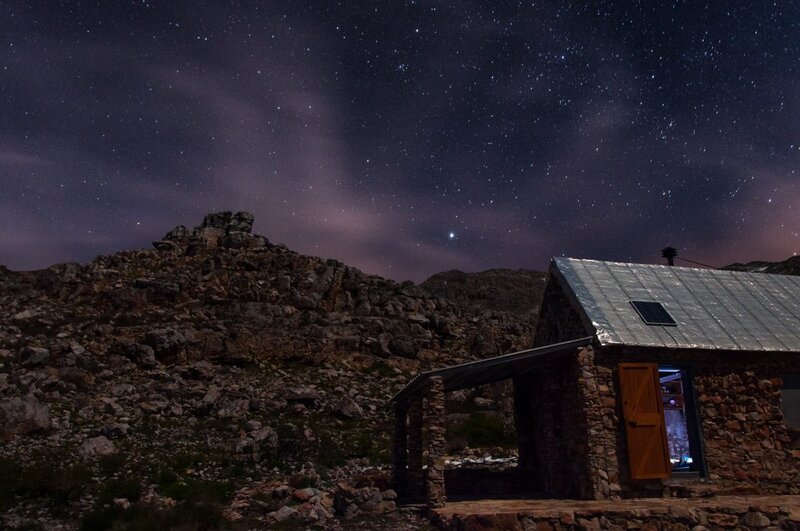 Thomas Hut was built in 1930 thanks to the combined efforts of the founding members of the Ski Club of South Africa – one of whom was Eddie Pells – and the Worcester Section of the MCSA, who realised that the slopes of the Fonteintjiesberg were good for skiing after a heavy snowfall. The hut is named after McL Thomas, who was chairman of the Worcester Section at the time and who first loaned the funds to build the hut, and then waived repayment. Building the hut was quite a task. A road to Brandwacht had to be built first, which was jointly funded by the MCSA and the Worcester municipality. Stone and sand was readily available, but additional building materials, such as roofing and planks weighing 3.5 tons, had to be transported to the site. This required a team of donkeys and 200 pupils from the local school! The hut was officially opened after the first snowfalls in the area on 7 August 1931 and was used mostly by skiers, but in 1934 the municipality feared contamination of the stream supplying water to Worcester so they closed access. The MCSA later managed to convince the municipality to allow them access once again. Since then, many improvements have been made including the addition of an outside toilet, a stoep and a pergola.